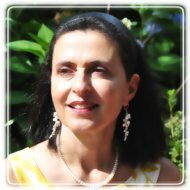 Dallas Therapist: Souad Shrime - Therapist 75214. Send A Message To Souad. Anger issues, Domestic Abuse or Violence? Grief and Loss of a Loved One? As a clinician, I have fifteen years of clinical experience with couples, families, and individuals from different ethnic and religious backgrounds who struggle with these issues. Also having trained as a hospital chaplain for adults and children, I have worked with patients and families facing terminal illnesses and difficult life decisions. Whether you are experiencing any of these issues or are simply feeling stuck or overwhelmed by events and life circumstances, therapy can be a very powerful tool. In our sessions I will help you verbalize and be aware of the thoughts and behaviors that might be keeping you in your present situation. Change can be scary, but in our sessions you will learn to recognize and navigate through your fears. As my client you will experience warmth, acceptance and encouragement. At the same time you will hear honesty and insight that will challenge your thinking and shine a light on possibly self-defeating behaviors. Together, we will explore your life-choices and establish new, self-affirming behaviors that will allow you to reach the goals you have set for yourself. If you are looking at your life through dark-colored glasses, therapy will help you have a more realistic view of your situation. It can provide you the ability to step back and examine it in a more objective way, thus empowering you to restructure your life and make positive changes. I truly believe that the answers are already within you. My role is to help you unlock these answers by guiding and encouraging you to reach within yourself and draw on the God-given wisdom you already possess. You are the driver; I am your partner in your journey toward self-discovery and self-actualization. Introductory sessions include a complimentary 30 minutes.